Go green on Earth Day and everyday. 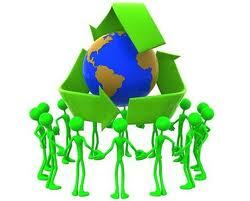 April 22nd is Earth Day, a celebration of our beautiful planet and sustainable living. It’s a great time to thnk about eating healthy, nutritious food, organic whenever possible. 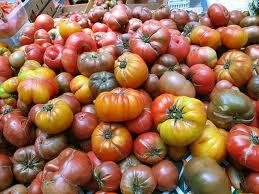 In honor of Earth Day, here are two tomato recipes and a bunch of tomato fun facts. This recipe adds sweetness to savory tomatoes. You can use 1 1/2 cups of toasted bread cubes instead of the bread crumbs. Add 1/4 cup orange juice to make it more sweet. 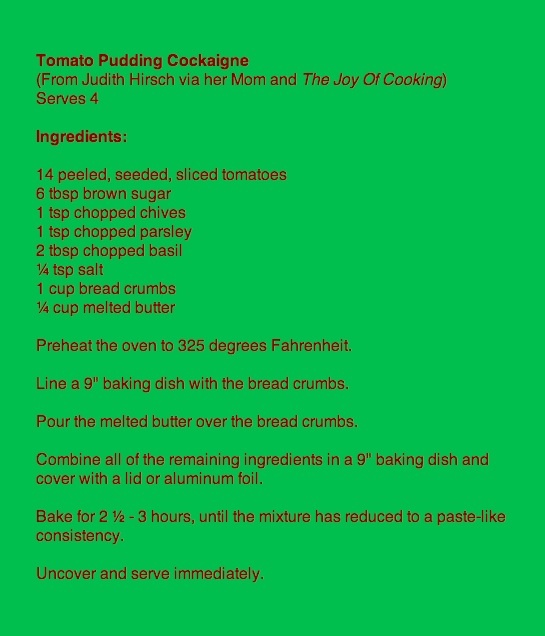 Tomato Pudding is an ANACHRONISM. Most people have never heard of it, much less tasted it. I got this recipe from my Mom’s friend, Judi Hirsch, who got it from her Mom via the original Joy of Cooking, which was published in 1931! The recipe is no longer included in recent editions of the cookbook. Use heirloom tomatoes for this recipe if you really want to honor history. 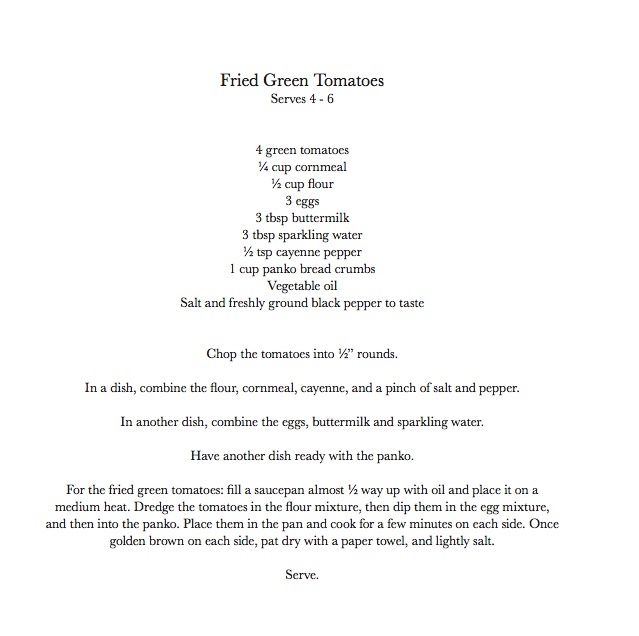 Here’s my recipe for Fried Green Tomatoes, from Cook Your Way Through The S.A.T. It works as a side dish or appetizer. This is not exactly the healthiest dish on Planet Earth, but it tastes great! Earth Day participants cooking with tomatoes can enjoy an ARRAY of shapes, sizes and color. Sizes vary from the 5mm Tomberry tomato, through the cherry, grape, plum, and Roma, all the way up to the large beefsteak. Tomatoes come in a rainbow of color options, including yellow, orange, pink, green, black, white, multicolor and striped. Enjoy your tomatoes raw, cooked, canned, and in drinks. Try to make every day Earth Day! Thanks for the recipe and the bit of cookbook history, Judi!